In a large bowl, mix filling ingredients until well combines. Cut each pastry sheet into three long strip and place filling down the centre of each strip. Roll the pastry to enclose the filling, pressing the edge to seal. Cut into desired size (we cut ours almost bite-sized, but larger rustic sausage rolls also work well). Brush the pastry with a little milk and sprinkle with sesame seeds. Bake for 20-30 minutes or until golden. 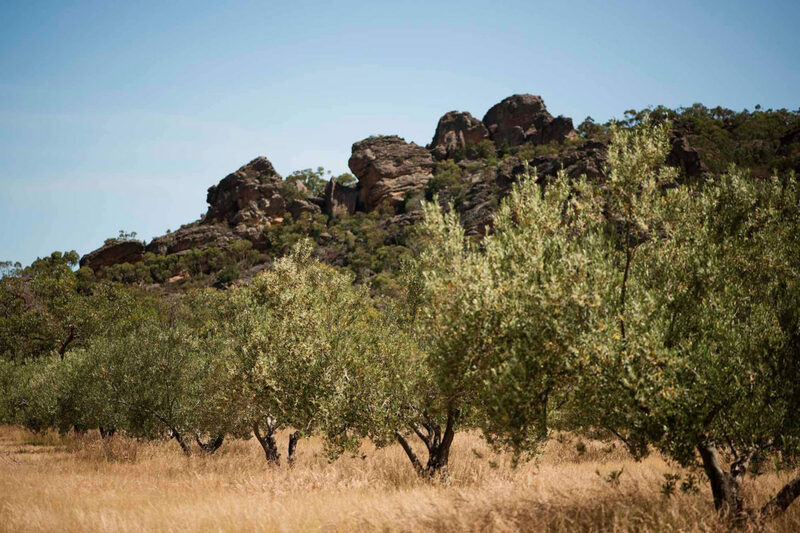 Planted in the 1940’s, The Mount Zero Olive Grove is one of oldest olive groves in Australia. Jane and Neil Seymour purchased the rundown olive grove at the bottom of a mountain in 1993 with dreams of a simpler life. The grove was in such disrepair that the first commercially sold olives and olive oil were not produced until 1996. Jane and Neil’s son Richard joined the business in 2005, looking after distribution and brand management from the Mount Zero warehouse in Melbourne’s west. A total of 6000 Spanish Manzanilla and Gordal Olive trees line the base of the Grampians most northern summit, Mount Zero. Here Mount Zero practice biodynamic farming techniques and are Demeter certified. The grove is self-sustaining in its farming practice, feeding the trees directly from the soil humus rather than chemical inputs and their energy supply is sourced from off-grid wind and solar generators. Collaboration and a drive for innovative, quality produce has fuelled the Seymour family and the Mount Zero brand in becoming one of Victoria’s great food stories – working with the Barenji Gadjin Council to produce their Pink Lake Salt and working with neighbouring farms to produce pulses and grains. Here, we share Allyse Wafer’s recipe hearty Autumnal salad recipe using Mount Zero’s Pearled Farro and fruity Extra Virgin Olive Oil, courtesy of Mount Zero. Firstly, cut the cauliflower into florets and arrange on a baking tray. Sprinkle over the ground cumin and sumac, drizzle with olive oil and season with Mount Zero pink lake salt and pepper. Roast until the cauliflower is crisp and starting to brown at the edges. Meanwhile, slice the grapes lengthways and add to a hot pan with a touch of olive oil. Cook until the grapes have blistered and are sticky. Set aside. Cook the pearled farro as per the packet instructions until the grains are tender. Remove the black kale/green kale leaves from the woody stems and slice into thick ribbons. Saute in a pan with a drizzle of olive oil until cooked through. Alternatively, you can roast the kale if you prefer a crispier texture. 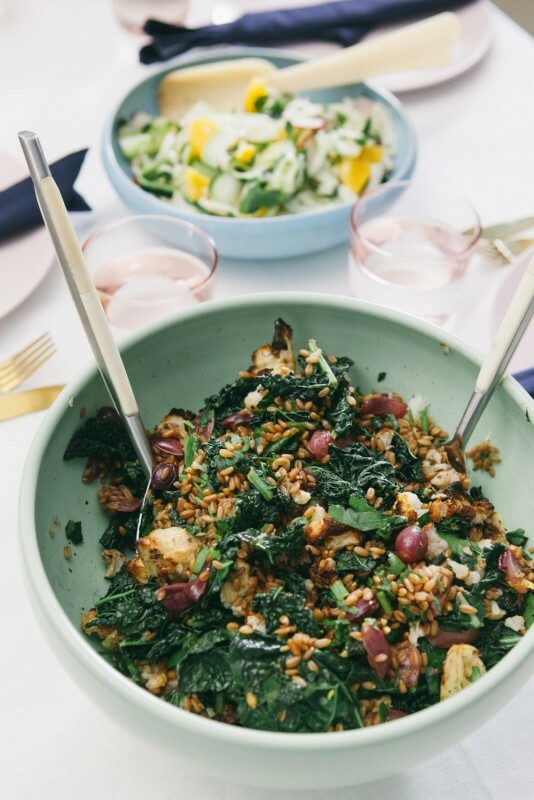 Assemble the cauliflower, grapes, kale and farro in a serving bowl. Finish with the finely grated lemon zest and juice from a lemon and some finely chopped Italian parsley. Season to taste and drizzle with a touch of extra virgin olive oil and an extra sprinkle of sumac. 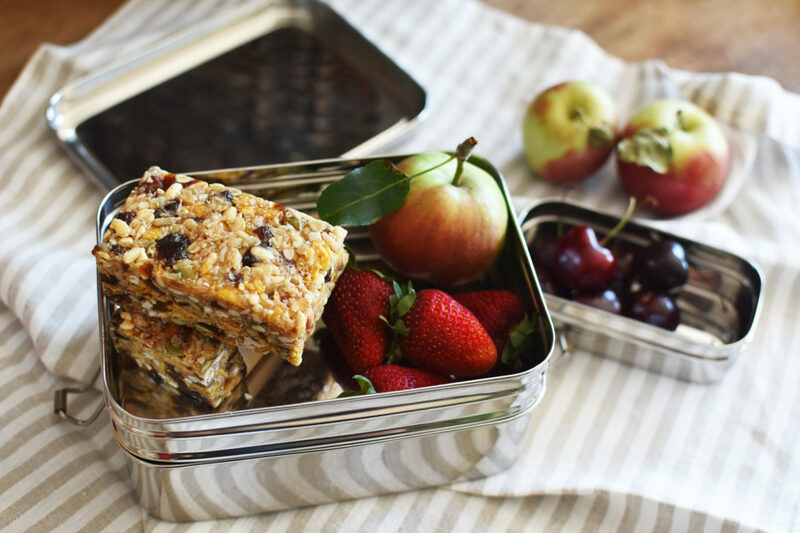 A nostalgic, sweet, yet wholesome bar that’s the perfect in-between of a muesli bar and honey joy. It’s nut free and can be easily adapted to be vegan! “All sorrows are less with bread.” ― Miguel de Cervantes Saavedra, writer of Don Quixote. Approximately 10 flatbreads or 2 medium pizza bases. Sift flour into a large mixing bowl and create well in the centre. Add salt if desired. Place yeast into well, add 1 cup of the tepid water and mix the water to dissolve the yeast. Allow to sit for 10 minutes while the yeast activates. Mix ingredients together, adding more water if required (the dough should be firm and moist, but not sticky). 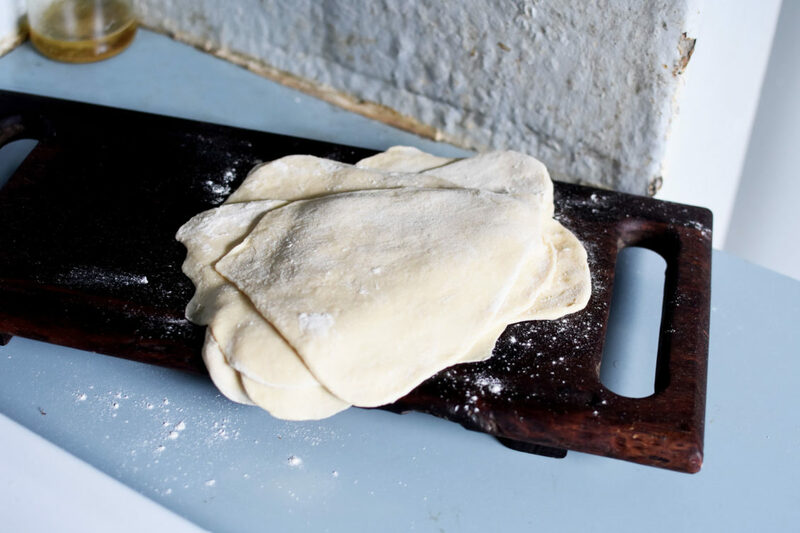 To make flatbreads, divide dough roughly into 10 portions and roll out with a rolling pin (of any shape you like, ours were particularly rustic). 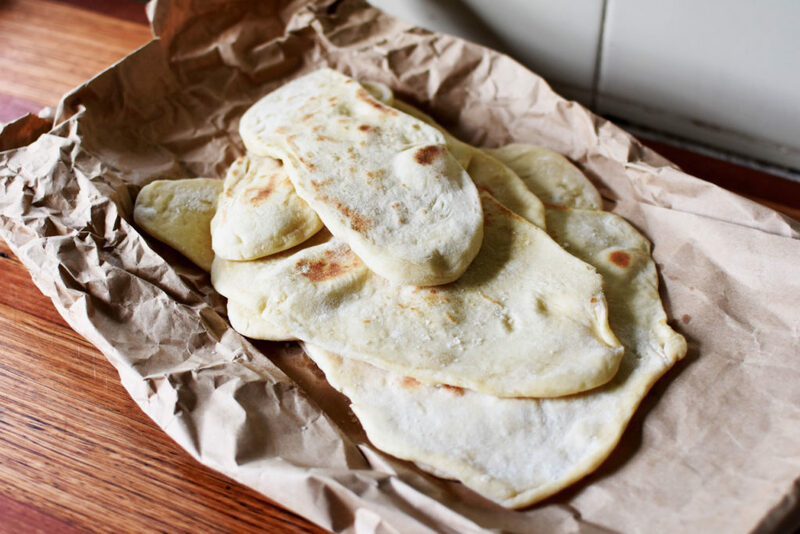 When piling them up, add a little flour in between your flatbreads to avoid them sticking together. Heat a cast iron pan (or your BBQ) on high for 10-15 minutes and cook each flatbread one at a time for 2-3 minutes, or until golden (on a high heat they will be blackened in parts – and are delicious this way). 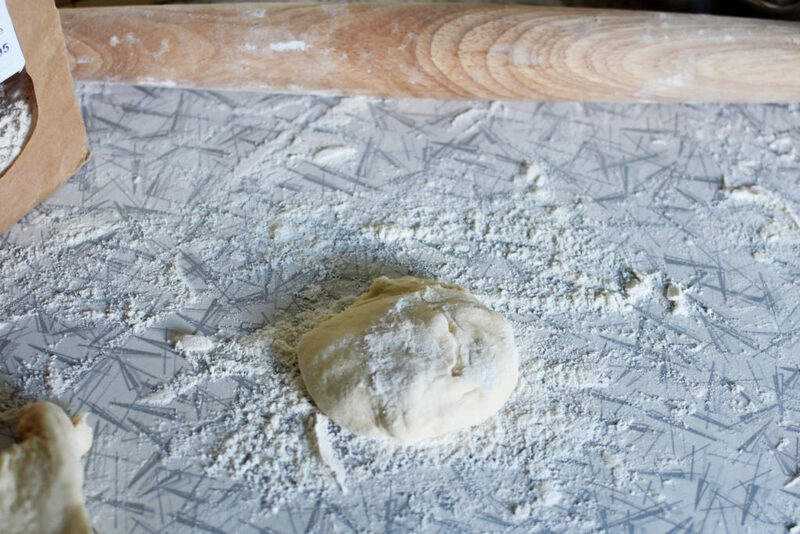 To make pizza bases, divide dough into 2 and roll into balls before rolling into circular discs. Place a cast iron roasting pan, pizza stone or fire brick in the oven and heat at 250 degrees Celsius for an hour (this helps to create a flavoursome base and crust). 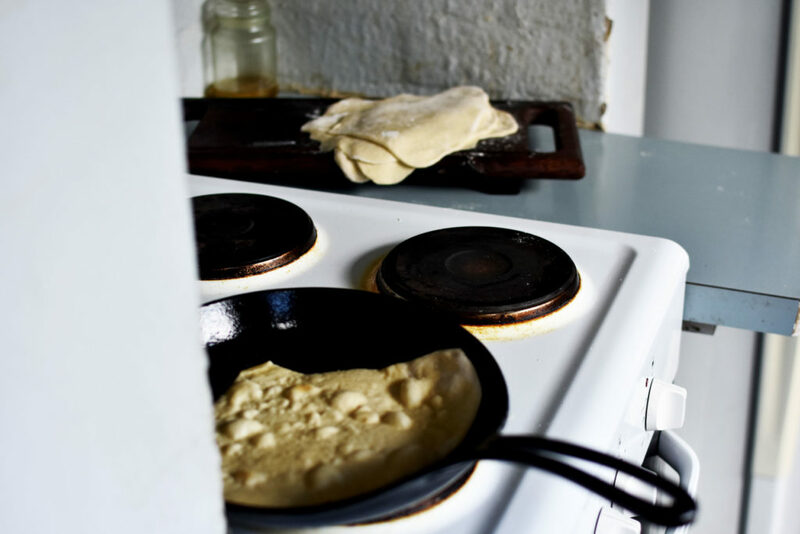 Place your bases on baking paper so that they are easy to manoeuvre onto roasting pan, pizza stone or fire brick. Cover with desired toppings and bake at 200 degrees for 20 to 30 minutes (or until golden). 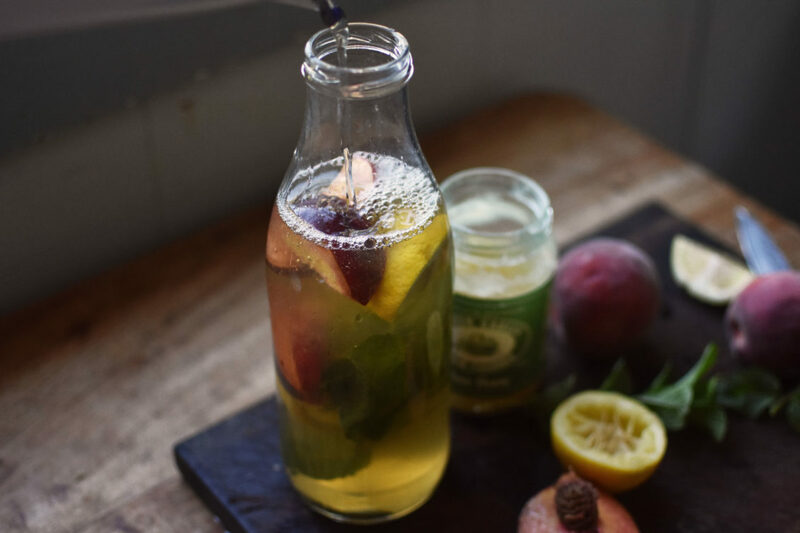 Perfect for sipping on a hot summers day, this iced green tea with fresh peaches, lemon and mint is the perfect balance of citrus and sweetness. The beauty of this recipe lies in the quality of the ingredients used. For the base of our iced tea, we’ve used Love Tea’s loose green tea from the Hunon province in China – abundant in antioxidants, it has a bold and balanced green tea flavour, with subtle hints of smokiness reminiscent of the pan firing process it undergoes in production. And green Gables Pure honey, with its floral notes and mellow sweetness, works beautifully here (not to overpower the peaches!). To brew the tea, place the tea and honey into a teapot or infuser and three cups (750ml) filtered water at 70ºc–80ºc. Allow to infuse for 4 minutes before straining and chill thoroughly (we find it’s best made the night before). To the chilled tea, add the juice of 1/2 a lemon, lemon wedges/slices, fresh peaches and sprigs of mint. If time permits, place in the fridge for another 1-3 hours, allowing the peaches to properly infuse the tea. Serve with ice. 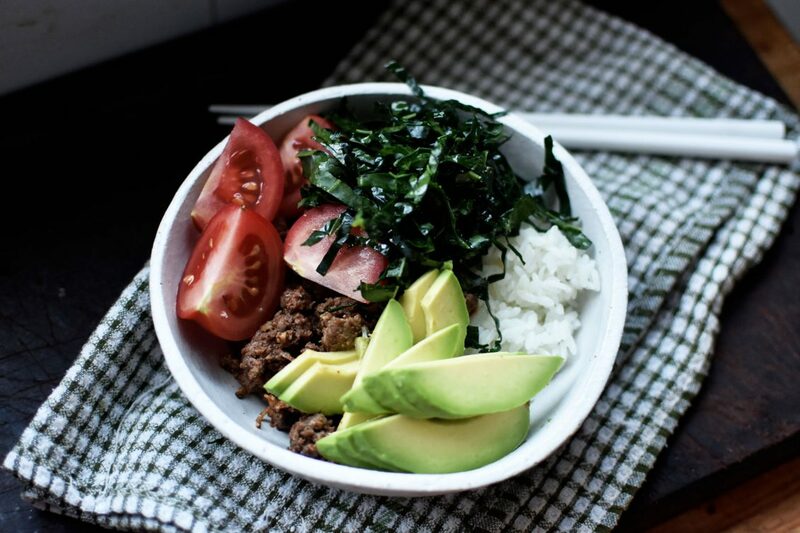 An iconic fusion dish that hails from Okinawa, Japan — this dish has innumerable variations and is easy to adjust according to your tastes (cheese/no cheese, chilli/no chilli, extra ginger, crisp lettuce or kale). The miso in this recipe gives such a beautiful, umami richness that’s lovely against the kick of ginger and chilli. It’s so simple and so, so satisfying. Plus a few tablespoons of stock or water, to encourage a beautiful sauce for your rice to soak up! Start by cooking your rice, a method for which we’ve posted here. Once cooked, set aside for 10 to 20 minutes, which steams the rice and leaves it beautifully sticky! Add minced beef to a heavy based fry pan, using a little rice bran oil if needed, on a medium high heat and allow to fry for a few minutes before adding remaining ingredients (ginger, soy, mirin, cumin powder and sweet paprika). Cook through, adding the miso last and heating through for a minute, allowing it to lightly caramelise in the pan. If it’s too dry, add a few tablespoons of stock or water to create a rich sauce for the rice to soak up. Then simply serve rice, spoon over a little sauce from the pan and then add your mince and extra toppings as you like. 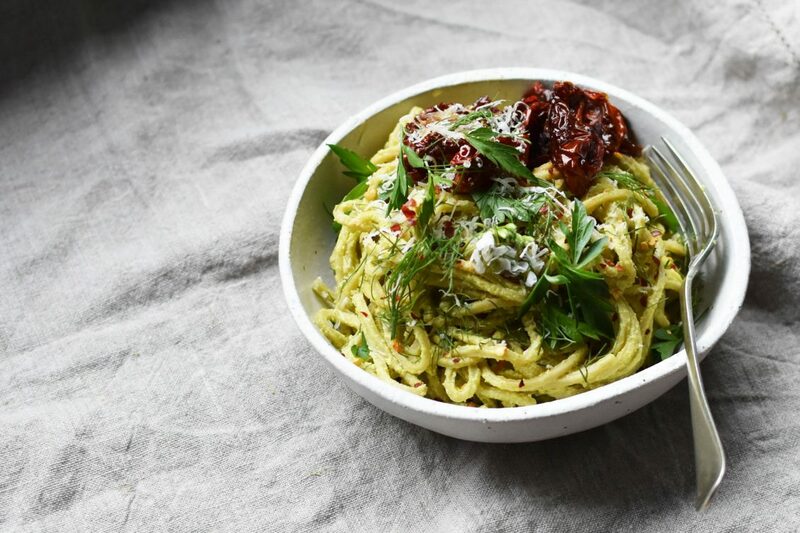 To make the simplest, most satisfyingly quick and delicious pasta dish, add Kehoe’s Kitchen Pesto Cashew Cream Cheese (a big dollop per serving) to a drained pot of fresh spaghetti (of which Organic Indulgence do a particularly lovely version), season and garnish with dried chilli, fennel fronds, herbs and Parmesan cheese (of course, for a dairy-free dish you’d simply omit this). If you have an extra five minutes, you might also get your hands on some dried tomatoes (Ceres Dried Tomatoes, for example), throw in a pan with a finely sliced garlic clove and dried chilli flakes before adding a little hot water (just enough to cover the bottom of the pan), cooking on a medium to low heat and allowing the tomatoes to plump up. When the liquid has reduced (and definitely before the pan is dry), add a little olive oil, tossing the tomatoes so that they soak up the oil and pile atop each dish. These add a sweetness that is so beautiful alongside the creamy cashew cheese. 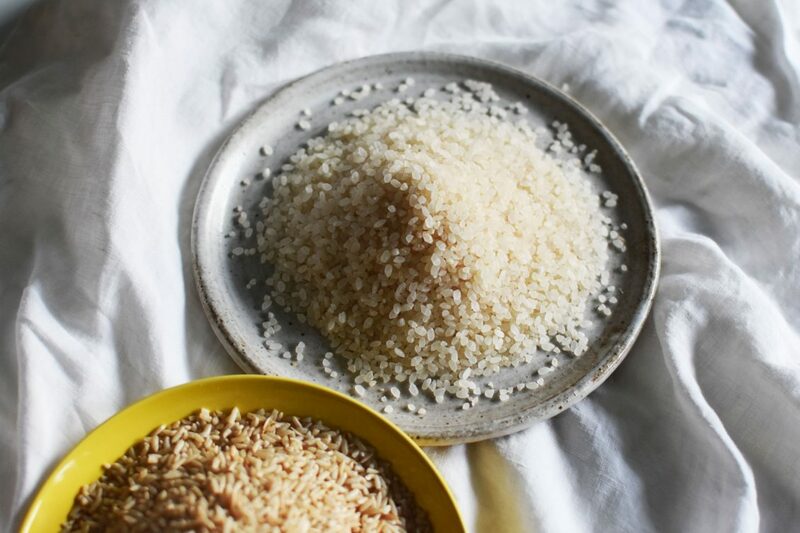 For this recipe we recommend Randall’s Koshihikari Rice, an Australian grown short-grain sticky rice that has an incredible texture and flavour that lends beautifully to Japanese cooking. This recipe is scalable depending on how many servings you need to make, and produces a rice that is fragrant and sticky, yet firm. Using the correct ratio of water to grain is paramount to producing the right flavour and texture. Don’t be discouraged by the various stages, which may seem unwarranted for something as simple as cooking rice. We assure you that it really is very simple and comes naturally after you’ve made it once or twice. And anyway, the fuss is totally worth it. Measure out rice into an appropriate sized saucepan and rinse it in cold water, repeating until the water is clear. This is best achieved by filling saucepan with water, then gently swishing the water around with your hand, polishing the grains with your fingertips, then draining and repeating (about 3 repeats). Time permitting, let the rice drain in a fine sieve for 30 minutes. Soak the rice in water, measured according to the above guide, for a minimum 20 to 30 minutes — or soak overnight. With the lid on, turn your burner to the highest possible heat setting until the pot reaches boiling point and you notice steam trying to escape, at which point, turn the burner down to the lowest heat setting and cook for exactly 5 minutes. Set the pot aside for 10 to 20 minutes, allowing the rice to steam a little further and become firm. It’s important that throughout cooking and steaming process that the lid is never lifted from the pot, as this steam helps to cook the grains perfectly, slightly sticky in texture. Thank you to Chika (who hails from Tokyo) for teaching us this most-satisfying staple recipe. She lovingly describes foods that go well together as being friends (“Miso and rice are best friends!”) and we really resonate with that. This one’s handy – a marinade that can be added to roasted vegetables of any kind (works particularly well with hearty vegetables such as pumpkin, sweet potato or carrots), a fry-up of greens or, with a little added brown rice vinegar makes a great vinaigrette for warm or cold salads. Around a third of a cup of marinade. 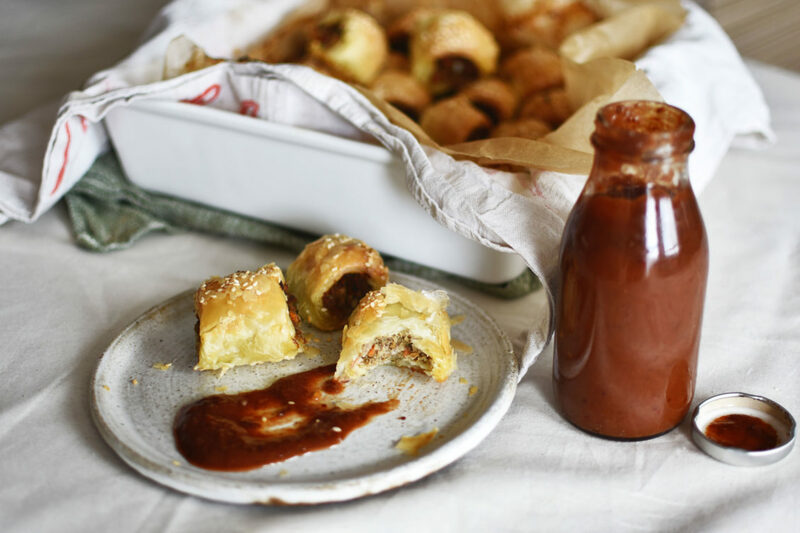 Depending on what you’re after, this can be spread a long way for a subtler flavour, or for a fuller, umami-rich flavour, use a little more liberally! Optional: a chunk of butter, for added richness. 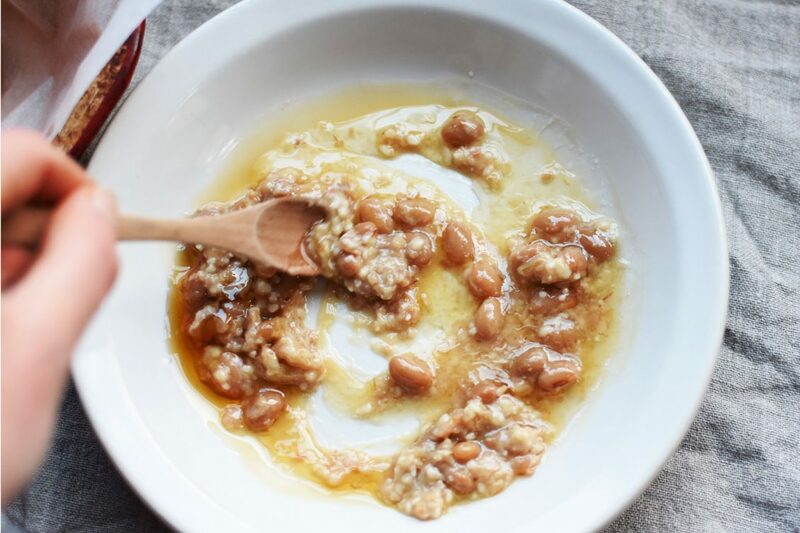 Simply mix together your ingredients to form a loose paste. As a marinade for roasted vegetables, coat vegetables in miso mixture and roast at 180°C and roast as usual (depending on what you’re roasting). Check halfway through and adjust the heat if necessary – the miso can burn easily, which, depending on your tastes, can be delicious, but can be avoided by roasting at a lower heat for a longer time. As a marinade for a fry-up of greens (at this time of year think green beans, zucchini, swiss chard, english spinach), simply add the miso mixture to the pan towards the end of cooking, just to heat it through (if you add the mixture any sooner you’ll no doubt find it sticking to the pan and burning). 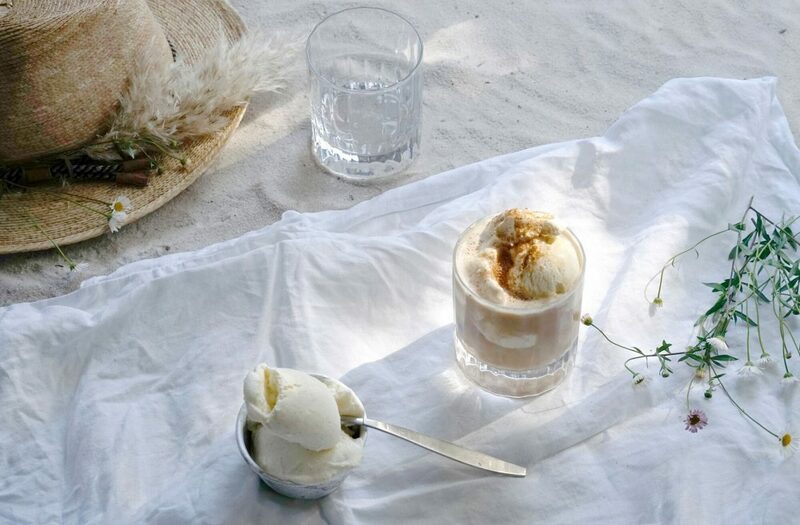 We are appreciators of small artisan food makers and producers – those who bring to their work a passion and knowledge that, certainly in this case, you can taste. Calmer Sutra Tea, the creators of the first wet chai, are the embodiment of this. 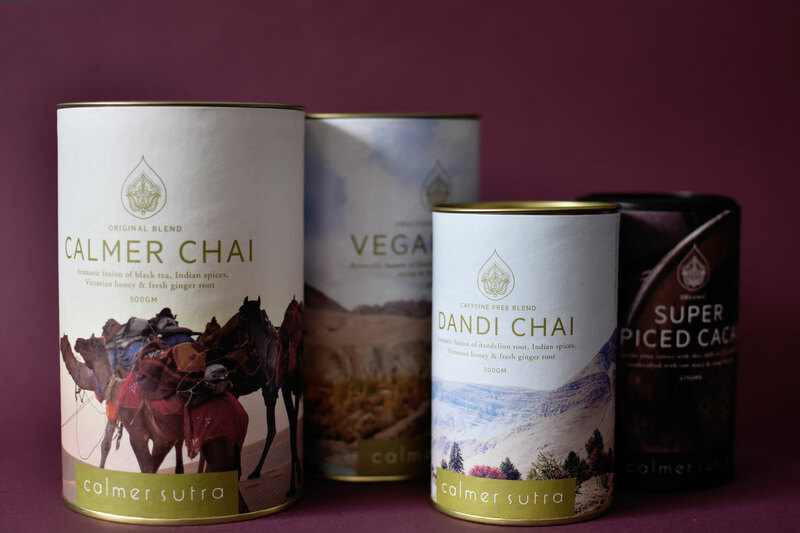 Handcrafted in small batches in Melbourne using the highest quality organic tea and whole spices, Calmer Sutra Tea have garnered a loyal following since beginning their journey in 2002. So why a wet chai, you ask? Well, for founder Caitlin West, a masala chai is not complete without the inclusion of freshly grated ginger root, and using a fresh spice means moisture. Moisture makes the blend less stable and more perishable. Enter honey. Pure honey is one of nature’s most powerful natural preservatives and just happens to compliment black tea and masala spices beautifully. The honey also helps to lock in the flavour and abundant beneficial properties of the spices. Problem solved. Calmer Sutra Tea’s original Calmer Chai is an authentic blend of smooth black tea leaves, aromatic Indian spices (including cinnamon quills, cardamom pods and star anise flowers), pure Victorian honey and fresh ginger root. Their Vegan Chai, which is also fructose free, is made with organic rice malt syrup and there’s also tea and caffeine free version with a dandelion and chicory root base, sweetly named Dandi Chai. Throughout the years, Calmer Sutra Tea’s journey has been rich and eventful with each year bringing new opportunities and projects, including additions to their range such as their Super Spiced Cacao – a superbly spiced and satisfying blend organic and fair trade raw cacao, maca powder, chilli, cardamom, fresh ginger, tangerine zest, rice malt syrup and coconut sugar. This lifelong passionate journey continues to bring peace and calm to the daily ritual of many sippers Australia wide. With warmer weather seeping slowly into our days, we find ourselves mixing it up and opting for chilled drinks over hot options. Chai is no exception here. *optional but you’d be a fool not to!